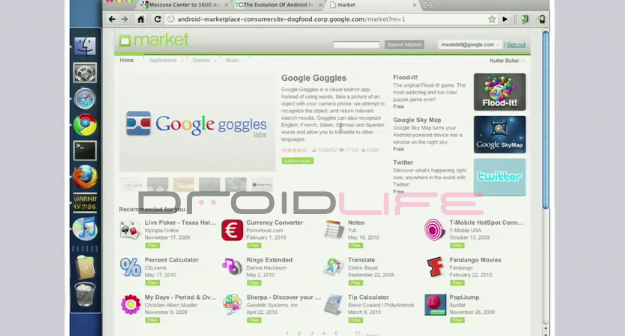 There are a lot of questions surrounding tomorrow night’s 6 hour market outage, but our buddies over at Phandroid have uncovered what looks to be the initial steps to everyone seeing a browser-based market that was first demoed back at Google I/O. We are expecting to see Gingebread at any day, and as some of you may remember, one of the new features said to be included with this Android version was indeed a pretty-new market that would run in a browser. 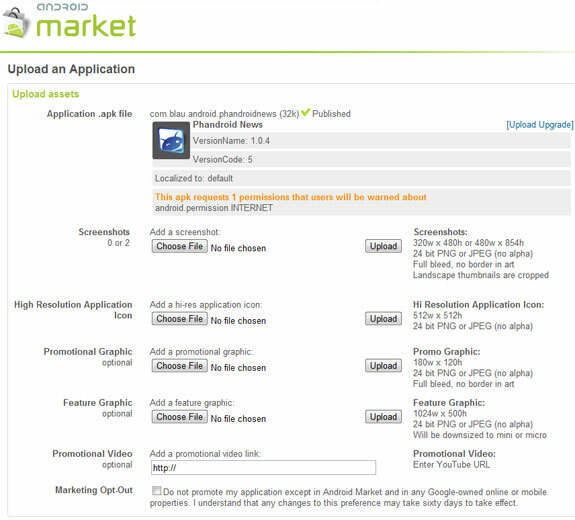 So as you can see in that screenshot, developers are now being asked to include high resolution graphics for their applications plus promotional videos if they have them available. Sounds like things we would see on a blown-up, beautiful version of the Android market running in your browser doesn’t it?